1. Add diced onion and Rotel to a large stock pot. Pour vegetable broth over onion and Rotel. 2. Add garlic, red pepper flakes, salt, pepper, oregano, and dried basil to the stock pot. 3. Add dry spaghetti to the stock pot mixture (I break my noodles in half). Cover and bring to a boil. Reduce to a simmer for 12-15 minutes, or until most of the liquid has been absorbed. 4. Remove lid and stir in pesto until well incorporated and evenly distributed throughout the pasta. 5. Serve and garnish with Parmesan cheese. 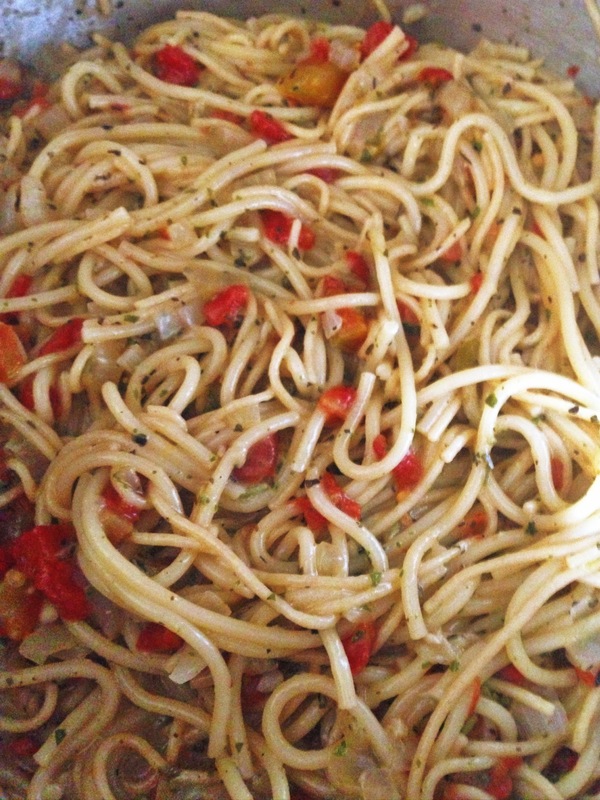 *I served this along side my homemade garlic bread bagels. 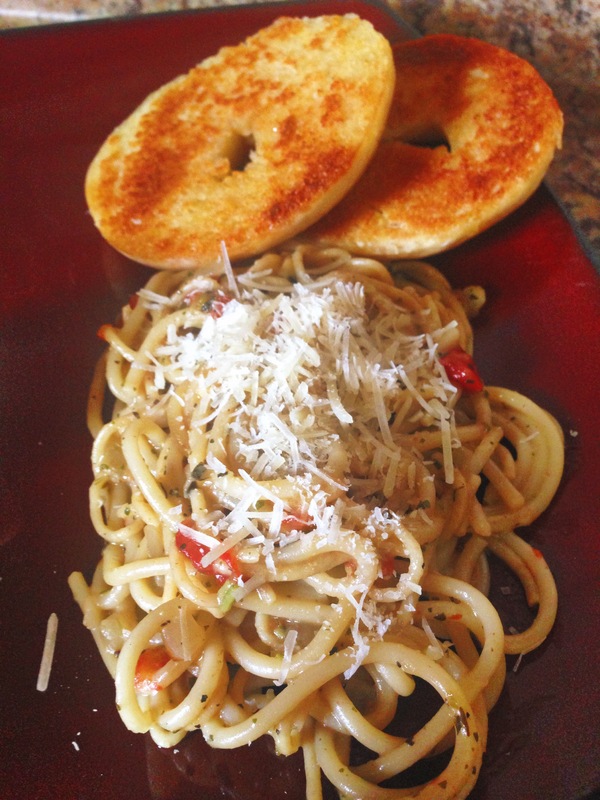 I used my jalapeno bagel recipe, and omitted the red pepper flakes and jalapenos for a plain bagel. Then mixed 1/2 c Smart balance light butter and 1/2 tsp garlic powder. Split the bagels in half, buttered them with garlic butter and put them under the broiler for about 5-6 minutes on low. As always, watch anything in the broiler as it can burn very quickly. I love Rotel. Such versatile and good stuff it is.